3 Grinders of 1.2 Kgs. 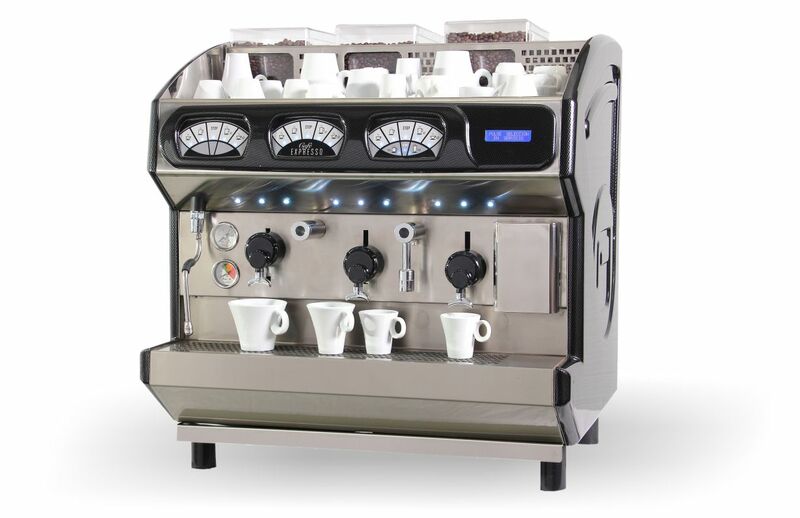 Automatic dosing for 1 or 2 coffees as selected. Simultaneous operation of all functions. 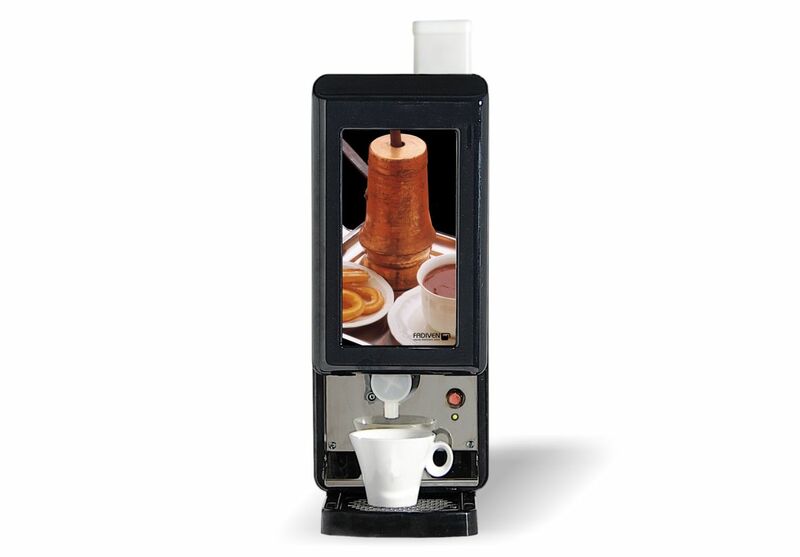 Milk frother option with automatic control. Boiler capacity of 0,6 Lts. Prepared for the soluble chocolate cup with capacity of 1 Kg. Also available for soluble coffee or soluble milk. Ideal for bars and small cafeterias, very economical.